With this project an old farm building was modernised and turned into an environmental education centre. It has stimulated the local population to become more active in their local development and increased the area's attractiveness to tourists. The Międzychód commune, like many other Polish rural areas was in the past dominated by the State Agricultural Farms, which disintegrated after the fall of communism. A unique idea helped revive the area. 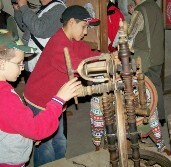 In 2006 a farm in the commune was rebuilt and converted into the "Regional and Environmental Education Centre". This involved restoring and transforming the damaged farm buildings so as to serve educational and community integration purposes. This process had to be continued to really achieve maximum impact of these new facilities. The objective of the project was to build on the initial transformation efforts by actively engaging the local population and thus to increase welfare and improve living standards in this disadvantaged area. An additional objective was to increase the number of tourists and enhance the quality of the tourist services provided both by the Międzychód commune and by the Centre. 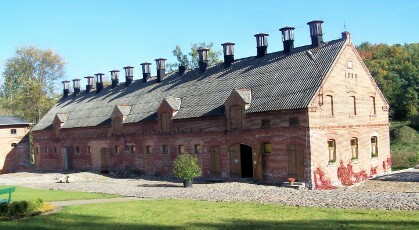 The main activities consisted of: renovating a historic grain crushery for conference and exhibition purposes, as well as tourism and management needs; replacement of roofing on the building to host workshops on vanishing occupations and other classes; establishing sports and recreation areas. In addition, various objects have been received from different donors that helped to equip stands with educational material, illustrating various rural occupations and daily lives on farms. The effects were a great surprise to the project designers themselves. Apart from renovating the buildings, more than 8000 visitors annually have been attracted to the venue. The project has succeeded in teaching the rural population to present old occupations and provide tourism management services, which in turn contributed to increasing economic activity. In the course of the project a rural association has been established which fosters partnerships with local stakeholders. The project has greatly contributed to improving the image of the village, branded previously as that of a disadvantaged community of post-collective farming. In 2009 the project won the first prize in the Poland-wide competition "Friendly Village".